Saudi Arabia announced today it had executed 47 people under “terrorism” charges, including top shia cleric Nimr Al Nimr who was seen as a leader in anti-government protests that took place in the Eastern province of the absolute monarchy at the beginning of the so-called Arab Spring. Majority of today’s executions are related to terrorism attacks carried out by Al-Qaeda inside Saudi Arabia between 2003 and 2006. Saudi execution of Nimr al-Nimr along w/ al Qaeda members is straight from Assad's playbook – lumping nonviolent activists with terrorists. The executions were carried out in 12 different regions around the kingdom, the interior ministry says. Nimr, from the Awamiya area, in the Eastern province of Saudi Arabia caught the Saudi regime's wrath after giving sermons calling for reforms in the conservative kingdom where women are not even allowed to drive cars and for “taking the lead” in anti-government protests in 2011-2012. In July 2012, he was arrested by police after being shot in the leg and in October 2014 sentenced to death for “disobeying the ruler” among other charges. On Twitter, netizens expressed anger at Nimr's execution. The real loss in the death of Nimr Al Nimr is that he died for the message both Sunni & Shia tyrants feared from the Arab uprisings. Having a dissenting opinion in Arab lands is health hazard. side effects include prison, torture and death. 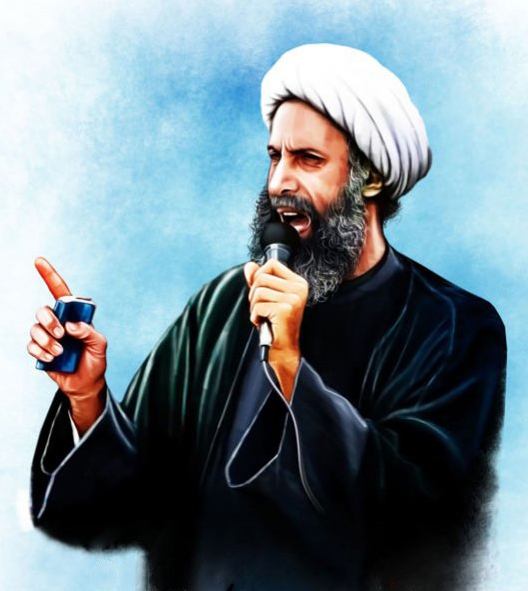 Execution of prominent #Shia cleric #AlNimr by #Saudi will undoubtedly set tone for regional tension in 2016. And in nearby restive Bahrain, where anti-government protests have been continuing since February 14, 2011, protesters took the the streets of several villages after the news was announced. Protests in several areas in Bahrain to condemn the execution of martyr Nimr Al Nimr. Last year (2015), Saudi Arabia executed a total of 158 people, or an average of one person every two days, the highest recorded number since 1995.